But they were good sources of inspiration. So I went back to reading the Art of War over and over again, and developed the mechanics based on it, with nods towards my original inspiration. Terrain and "ground" (in the Chinese they are the same word although clearly used in different tactical contexts) from the CCG were wonderfully modeled after Sunzi's descriptions, and I hope I've carried through and done them justice. There is no Season-spanning "War" mechanic in Hachigoku; I don't think the game needs it. I may, however, change course and introduce an optional one later alng the same lines as the Ada-uchi. When combat occurs between two, we call it a duel. When it happens between more than two, it becomes a Skirmish. But at some point, attempting to adjudicate combat between too many actors becomes a tedious chore. Oh, look, your samurai chopped down the tenth Kaonashi. Don't worry; only 145 more to go! No one is going to knock on your door and monitor whether you're having a Skirmish or a Battle. If you and your players think it's fine using the Skirmish rules for a few hundred foes, especially if they're just Kaonashi, more power to you! These are suggested conditions for the switch, with an in-world explanation, but they may not fit every situation. 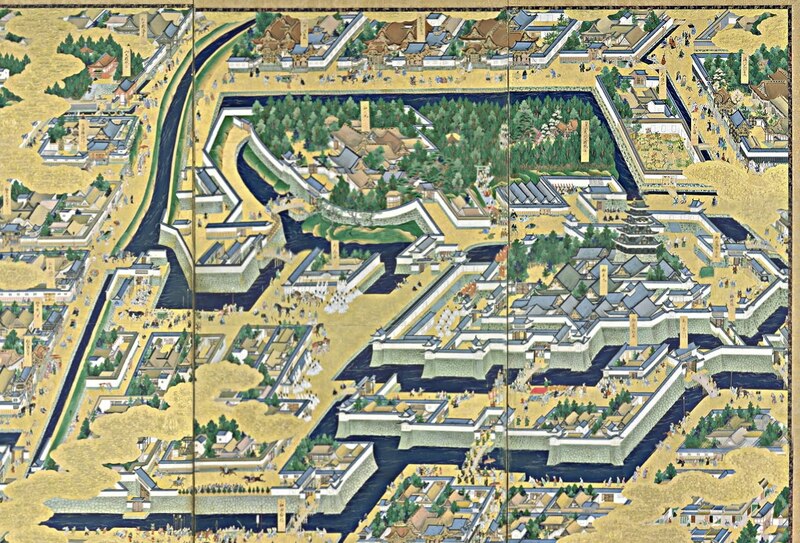 Notwithstanding how ritualized the samurai of Hachigoku tend to be, the mass of Battle rules may look overly complex. Keep this in mind: the full suite of rules assumes two or more armies amassed against each other on a field of battle for honorable combat. Not every battle is going to fit that description, or need all the bits and pieces. If you want the advantages of an ambush, for instance, you may only want to use Skirmish rules. Or you may want to switch from a Skirmish to a Battle after an opening Round. If there are no opportunities for speeches or omen-reading, simply skip those Advantages. You'll always have Advantage, a Senjojutsu (Strategy) roll, Battle Actions, and Casualties, but beyond that keep the rules as fluid as the chaos of war. At this point, before thrilling combat degenerates into tedious score-keeping, a Skirmish becomes a Battle. How do you know when to apply the Battle Rules versus the Skirmish Rules? Simple: when there are 50 or more combatants. Why 50? The typical group of player characters will compose a Wa, and a Wa at its typical maximum will have seven samurai (like the Seven Jewels) with a maximum of six Kaonashi attacking each Wa member. Thus, forty-two Kaonashi against seven samurai remains a simple enough Skirmish to still adjudicate with forty-nine actors. Add one more, and there is an actor left standing around with nothing much to do until someone falls in battle. Which is neither fun nor realistic, frankly. And yes, this glosses over a lot of other possibilities of how Kaonashi and other characters can interact, yet 50 remains a fairly good cut-off point between Skirmishes and Battles. The point of these Battle rules is twofold. First, to simplify mass combat in terms of both time and mechanics, yet also to keep one's sense of agency and fun. Secondly, to provide a way to manage a battle between opposing forces of any size. Battle rules should be able to portray conflicts ranging fights between magistrates and bandits, to those between vast armies. The first thing to determine is how many forces the Battle is dealing with. Typically, this will be two forces: the player characters versus whoever is opposing them. However, this need not be the case. There may be three, four, or even more forces involved, each with its own agendas and ideas concerning victory. Even all the Wa members may not stay in the same force. There may be loyalties or agendas that conflict with their fellow Wa members, in which case it's perfectly fine, and interesting, for them to choose to be in another's force, or even commanding their own. It could also represent that a much greater, grander campaign is being waged all about your samurai, but your independent unit is embroiled in a smaller battle in the midst of the chaos. You could even be a force all by yourself, a force of one. This is a very dangerous and deadly option, but it could be necessary. So decide which force you're in. Then choose a commander for the force. Preferably, this ought to be a player character. While someone in a force may be appointed by an outside agent (such as a daimyo) to lead the force, they may be incompetent and wisely allow someone else to be the actual commander in terms of Battle mechanics. Or they may not. If you wish to wrest command of the force from this appointed leader, it is certainly an Act of Vice. But it also may save the force from destruction. Take note of what type of armor (none, ashigaru, light, or heavy) the majority of the force are wearing; the dominant armor (or lack thereof) is a difficulty modifier applied to the Senjojutsu roll for Strategy (and only that roll). If a commander is killed or unconscious during the Wave or after taking Wounds at the end of the Wave, then the force loses all Advantage. A new commander can arise or be chosen and continue the Battle, but they will have to establish their own Advantage as if the Battle were occurring in the midst of a Scene (which is essentially happening). So no new Shingaku, Law, or Oratory rolls for the next Wave. Just a Senjojutsu roll. If no commander takes charge, the force is considered immediately defeated and can no longer participate in the Battle. It is up to opposing forces to either capture or allow the escape of the force. The next order of business is to determine what kind of terrain dominates the battlefield. There are five kinds of terrain: Accessible, Suspended, Stalemated, Constricted, or Precipitous. Each terrain provides bonuses and penalties to a force. Accessible: Accessible terrain is easily passable by all forces, a feature typified by essentially flat plains and other even ground. This would include courtyards, otherwise empty plazas, or any other territory open and spacious. No force gains a significant benefit over the other as advancing is a simple matter; however, there are no significant penalties to any force either. The openness of the terrain allows for less restriction of movement. A commander targeting someone in their force for a Battle Action is not limited to targeting that individual only once. Constricted: Constricted terrain bottles up forces into narrow passages and ground bordered by difficult heights. Examples include valleys, rocky badlands, snaking caverns, and crowded city streets. In such terrain it is vital to occupy its extent and maintain your hold. Whichever force wins the opposed Senjojutsu/Water roll for Advantage gains a bonus to their Advantage equal to their Water; they have managed to permeate the battlefield with their force, gaining a firm upper hand. Precipitous: Precipitous terrain is dangerous territory containing violent changes in elevation. Twisting mountain passes, bridges, city walls, rooftops, and any combat aboard ship (except within the vessel) qualifies as precipitous terrain. Whichever force wins the opposed Senjojutsu/Water roll for Advantage gains a bonus to their Advantage equal to their Earth; they have managed to take the highest ground, making them hazardous to dislodge. Stalemated: Stalemated terrain offers no immediate advantage to any force, and limited movement; the only proper course is to withdraw until the enemy offers you an opening. Then your force storms in, swift as a wildfire. Such terrain include any heavily fortified structure or natural terrain such as forests, swamps, or snowfields. Whichever force wins the opposed Senjojutsu/Water roll for Advantage gains a bonus to their Advantage equal to their Fire; they have managed to take advantage of an enemy commander's impetuous attack with a lightning fast counterattack. Suspended: Suspended terrain varies from high ground to low ground, but not nearly as violently as precipitous terrain. This is terrain it is easy to advance from, but difficult to retreat back to if necessary. Land that slopes, such as hillsides, rolling plains, or even the wide ramps that often mark castle entrances all qualify. Whichever force wins the opposed Senjojutsu/Water roll for Advantage gains a bonus to their Advantage equal to their Wind; they have managed either to make use of their maneuverability and high ground for a devastating assault (often with ranged volleys), or were able to cunningly draw the enemy into a position difficult to disentangle themselves from. Target force members multiple times. Determining who wins or loses in a Battle is measured by Advantage. Once all of a force's Advantage is calculated, only then does the Battle proceed into Waves. Certain aspects of Advantage are only able to be garnered when forces of sufficient size have time to engage in the niceties of samurai warfare; other Battles may occur to quickly for these elements to be observed, becoming vicious contests of momentum and tactics. A good commander, one assured of victory, must attend to the Dao of War: the Dao of Heaven, the Dao of Honor, the Dao of Glory, and the Dao of Strategy. Assessing the full Dao of War is equivalent to a full Scene, considering each individual assessment a significant and complex Action. Evaluating each Dao is a separate roll for each force commander, if they choose; all such rolls are considered to have both a simple TN of 10 (including Strategy) and an active TN against all rolling force commanders. Raises on these rolls only affect the simple TN, not the active TN. If Battle erupts within a Scene, there is no time for these assessments except for the Dao of Strategy. In some situations a commander may not wish to make these assessments, especially if their goal in the Battle is not victory. This is especially true of those who choose only themselves as a force, becoming their own commanders, for the purpose of freedom on the battlefield to achieve specific goals before withdrawing. Reasons include theft, assassination, and avenging blood feuds by duels. Becoming a force unto yourself is rarely honorable. Each force calculates their total Advantage after figuring out the various Daos. Each Advantage you win gives you an Advantage of 1, +1 per Raise made on a successful roll. Thus, between two forces, one who knows best (rolls highest) the Dao of Heaven, Glory (+2 Raises), and Strategy (+1 Raise) has an Advantage of 6. The opposing force knows Honor best (+2 Raises), for an Advantage of 3. The force with the highest Advantage is considered to be winning the present Wave; multiple forces with the highest Advantage are stalemated. The Dao of Heaven (Shingaku): All forces choose a single character in their force to perform a divination, seeking the will of Heaven. This is not, it should be noted, as requesting the aid of Heaven. However, how this knowledge is communicated to both the commander and the rest of the force is important. No onmyoji wishes to tell their daimyo he is doomed to defeat; those who do are often placed on the front line and commanded to “reconsider” their prediction. Each force's chosen character makes a Shingaku/Wind roll. The highest roll wins Heaven's Advantage, and can increase their hold over the Advantage by +1 per Raise. The Dao of Honor (Law): All forces choose a single character in their force to find the moral high ground in the battlefield. A force united in justice and honorable purpose is far stronger than one acting against the Celestial Order, thus each force tries to outmaneuver each other in legal and moral terminology through diplomacy before hostilities begin. This roll can only be made by a force whose commander is superior or equal in status within the Celestial Order. If a commander is clearly inferior in status to an opposing commander, they cannot even attempt to gain this Advantage. A commander whose actual status is inferior, however, may be granted a higher status by virtue of the authority he is given. Thus, a daimyo could authorize a heimen to command a force against another daimyo's samurai, although this would be very rare, allowing the heimen to try for this Advantage. Each force's chosen character makes a Law/Wind roll. The highest roll wins Honor's Advantage, and can increase their hold over the Advantage by +1 per Raise. The Dao of Glory (Oratory): Each commander heads forth to proclaim their prowess, ancestry, and virtue to the enemy. What appears to be a mere “shouting match” between commanders, however, is in truth a vital morale booster for each commander's force as they attempt to outmaneuver one another in confidence. Except for using some special abilities, only the commander can engage in this boasting. Each force's commander makes an Oratory/Wind roll. The highest roll wins Glory's Advantage, and can increase their hold over the Advantage by +1 per Raise. The Dao of Strategy (Senjojutsu): This assessment covers all the traditional trappings of war: strategy, tactics, formations, military discipline, and logistics. Each force's commander (the real commander, not just the one for show) makes the final roll. This is the only assessment that can be made without preparation. Unlike the other assessments, there are certain difficulty modifiers for this roll, depending on both the force's morale and strength; these are considered separate difficulty modifiers. A force's morale is determined by past experience in Battle. If the majority of the force has been in a lost Battle just prior to the current one, the Senjojutsu roll has Hard difficulty. For each Wave it loses, this penalty increases by a step (start from Average if they do not have a prior loss). If the force won the prior Wave, their difficulty modifier increases in the other direction (from Average to Easy, etc.). Fortified battlefields, such such as earthworks, walled settlements, and castles, are an important consideration. They do not give direct benefits to Advantage, but rather act as force multipliers. Each such fortification has a Fortification Rank; multiply that Rank by your force size before determining magnitude. Rank 1: No fortifications of note. Rank 2: Earthworks, barricades, and natural defenses such as caves. A force's strength is determined by its size in comparison to other forces in the Battle. If its size is larger, its difficulty modifier has a beneficial increase equal to its magnitude compared to the next largest force in the Battle, minus a step. An army of 10,000 samurai versus an army of 5,000 samurai has a 2 to 1 advantage, and therefore a magnitude of 2, granting an Easy difficulty. If there are more than two forces, you compare your magnitude to the next largest force, excepting those that are forces of only a single character. The dominant armor of the force is also a factor. The highest difficulty modifier due to armor among all opposing forces is applied to your Senjojutsu roll. Once all modifiers have been calculated, each commander makes a Senjojutsu/Water roll. The highest roll wins Strategy's Advantage, and can increase their hold over the Advantage by +1 per Raise. Battle has begun in earnest, and occurs in Waves. While preparation for the Battle is considered a Scene in itself, all the Waves combined together comprise a separate Scene as the forces vie for the upper hand, fighting and dying. Combat ranges all across the battlefield, with various individuals and units finding themselves driven onto specific positions, embroiled in duels, or targeted by magic. Instead of Void, the commander of each force rolls their Water for the entire force. Individuals and Kaonashi do not have their own Initiative or Actions; they have only the Actions assigned to them by their commander. Individuals in a force can gain their own Actions by spending Honor Points, exactly as if they were gaining an interruption. They can still only perform Battle Actions, however. Only specific Battle Actions can be performed during a Wave. These actions often include “target someone in a force” or “in another force,” or even target a force itself. Each commander can only target a specific individual or force once per Action, including themselves. When spending an Honor Point to act independently during a Wave, an individual is not bound by the same restrictions, however an “individual in your force” must always refer to themselves. Any individual targeted by a Battle Action is considered to be performing an Act of Virtue, gaining an Honor Point. Bonus Effects: Target yourself. You can establish facts about the Battle equal to your Void as if they were bonus effects created by Raises. Breach the Defenses: Target a member of your force and the fortifications used by a force. Your force charges over the barricades, earthworks, or walls, batters down the gates, or otherwise causes a breach in any fortifications. You lower the Fortification Rank by your Water. Duel: Target an individual in your force and an individual in another force. A duel begins between the two. In any case, your force's individual is considered the challenger, and can determine what kind of challenge it is. If the opponent refuses, they are considered to have used the Flee Battle Action. The duel is also applicable to attacking nonhuman creatures who can only avoid one-on-one combat by Fleeing. No courtly duel (mono-awase or shodo-shiken) may occur. Except for Romance. It can flare to life in the flash of a blade. Flee: Target yourself or, if you are the commander, your force. You withdraw from the field of the Battle. No matter how orderly or necessary or haphazard your escape, this is an Act of Vice. The Battle is over for you, although you still take Wounds during the Know Your Casualties segment. There is no Honor Point gain. Prayer: Target any individual in your force that can perform magic, such as an onmyoji. This individual can use a prayer, an ofuda, or use any other magical ability. If the magic targets anyone else, they can target freely. If multiple Actions are normally needed, it is unnecessary now. Rallying Cry: You can attempt an additional Oratory (Boasting)/Wind roll (passive TN highest Advantage of another force x 5) to inspire your force. If successful, at the beginning of the next Wave you now have Glory's Advantage, and can increase your hold over the Advantage by +1 per Raise. Contentious Ground: Target another force who is benefiting from the current Terrain. You can make a Senjojutsu/Water roll opposed by the force's commander to move your force into the advantageous position occupied by that force, pushing them out. If you win the roll, you gain the benefit instead for the next Wave. Deadly Ground: Target an individual in your force. This individual has found themselves on ground where there is no escape; they must vanquish or die. The individual gains a Mundane difficulty bonus on all combat rolls for the rest of the wave. If they are not targeted by an additional Battle Action or use a Battle Action by the end of the Wave, they suffer 2 Wounds at the end of the Wave. Dispersive Ground: Target another force or an individual in another force. They have penetrated deep into your held territory, but your force is swallowing them up. If you target another force, they suffer an additional Wound at the end of the Wave. If you target an individual, they enter into a Skirmish with a six Kaonashi of your choice from your force. If either all Kaonashi or the individual reach Down, the Skirmish immediately ends. Also, other members of the targeted individual's force may join the Skirmish by spending an Honor Point. Encircled Ground: Target another force. You cut off the force from making any effective maneuvers, making them lose all current Actions at the price of losing all of your own force's Actions. Entrapping Ground: Target your force. You can tell the Terrain is solidly against your force, and swiftly order the entire force to break ranks and reform somewhere more suitable. At the end of the Wave, the entire force moves to the nearest accessible Terrain. If no other force pursues, the Battle is ended for your force with neither victory or defeat. The force still accrues Wounds and casualties, however. Focal Ground: Target another force. You have provided an opening for that force to act at an advantage. The other force gains an additional Battle Action in the current Moment. Heavy Ground: Target your force and another force. You drive deep into their held ground, at a cost to your own force. At the end of the Wave, your force suffers an additional Wound, but the other force suffers an additional 2 Wounds. Light Ground: Target your force. Your force has penetrated lightly into enemy territory, causing them to group together for better defense. At the end of the Wave, your force suffers 1 less Wound. Traversable Ground: Target an individual in your force. They have been placed some distance away from the engagement as a defensive precaution, finding ground to move swiftly away from hostilities when necessary. The individual does not gain any Honor Points from this Battle Action, but they suffer only 1 Wound at the end of the Wave and cannot be targeted by any other Battle Action. At the end of a Wave, each commander has the opportunity to evaluate his losses. And war, though honorable and glorious, is deadly and unpredictable. It is a quick way to die, so tread carefully when you wade into rivers of blood. Each force commander chooses an opposing force and inflicts Wounds equal to their Advantage. A force may also suffer additional Wounds from Battle Actions. Once the total Wounds suffered by a force are calculated, they are distributed among the force by the whim of its commander. Wounds can be assigned to Namae characters, but only to those involved in Battle Actions during the Wave (this includes being named as part of bonus Effects). The commander cannot assign more Wounds to a Namae character than it takes to kill them; one samurai cannot take the full brunt of enormous damage to save the rest of their force. It's important to note that a large force likely has a wide variety of such individuals. Registering the Wounds for all of them would be time-consuming and prohibitive, so one needs only to keep track of Wounds for ones relevant to the players and Story. If they showed up in a duel, were targeted by a similar Battle Action, or are in command, then they're worth keeping track of. Otherwise, don't worry about it. Of course, your samurai is always worth keeping track of. Wounds assigned to Kaonashi are applied to the entire force as a whole. The commander rolls dice equal to all such Wounds (these may shout as normal); the result is the percentage (round up) of Kaonashi too injured (Down or Out) to continue fighting: the casualties. Those wounded will be too exhausted, demoralized, or damaged to engage in any further Battles during this Story. The commander rolls the same number of dice again to determine the percentage of casualties who die. At least 1 Kaonashi per Wound suffered this way dies as a result of the Wave; this may decimate small forces in a Battle composed of more than two forces. Again, the commander chooses who is a casualty, and who dies. A commander may also assign Wounds to themselves, be they Namae or Kaonashi. Armor: The use of armor in a Battle affects how many Wounds a character or force may suffer during the Casualties phase. A Namae character may negate 1 Wound suffered per Wave if wearing ashigaru armor, 2 Wounds if wearing light armor, and 4 Wounds if wearing heavy armor. Fine Quality armor negates an additional Wound; Poor Quality lowers the negation of Wounds by 1. When calculating the Casualties for Kaonashi, you need only consider what the simple majority of the Kaonashi in the force are wearing, and apply the same negation amounts (1, 2, or 4) to the dice being rolled for percentages of wounded and killed. Once casualties have been calculated, the next Wave begins. Heaven's and Honor's Advantage continue, as does Glory's Advantage unless it changed hands due to a Rallying Cry. Strategy's Advantage is rerolled Wave to Wave, which can fluctuate based on changing morale and strength. One commander has the most Advantage during consecutive Waves. Every other force surrenders (to the enemy), cedes victory (to an ally), or is obliterated, leaving only a single force standing victorious. There are no forces left in the Terrain (as all have chosen to Flee or withdrawn to a different Terrain). A stalemate continues for consecutive Waves, and all forces withdraw from the Battle with neither gaining ground, exhausted and demoralized. Being in a victorious army is considered an Act of Virtue for samurai; you gain an Honor Point. If you were the commander, both your Virtue and Glory are increased by 1. If your force surrenders, the commander's Glory and Virtue both lose a rank. These benefits and penalties apply only to samurai.